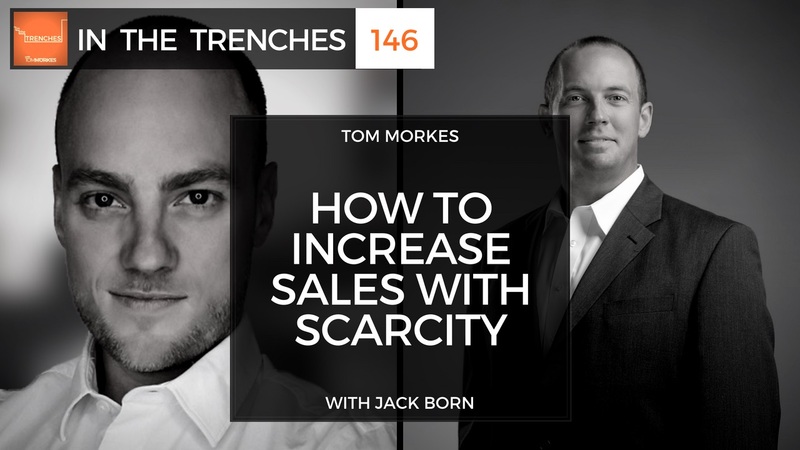 Jack Born is the CEO and founder of DeadlineFunnel.com. Deadline Funnel is automation software that lets you add urgency to your marketing funnel so you can sell more in less time. In today’s call, we talk a about Jack’s origin story (how he got into software in the first place as a non-technical founder) and how Deadline Funnel software works. However, the majority of our conversation is focused around this idea of adding urgency to your marketing funnel, and how you can do so in an ethical and honest way. I’ve written a lot about urgency and scarcity on this blog and via my newsletter, often in the context of launches. I can say, without a shadow of a doubt, that you need to leverage these psychological principles if you want get the most out of your launch or any marketing campaign you run. However, one of the questions that always comes up is how can we introduce things like urgency and scarcity, especially when dealing with digital products or productizes services that are not, by their nature, limited. So this gets into the realm of business ethics. How can you and I use urgency and scarcity in an authentic and transparent way, and still reap the big rewards? Well, in today’s conversation we get into that and much more.